A Chieftain of All Progressives Grand Alliance, APGA, on Sunday urged Nigerian women to cooperate with men to create a better society, noting that the faster they get rid of their encumbered stereotype, the sooner the growth of the country. In a Press release issued in Awka, the National Coordinator APGA Media Warriors Forum, Evang Chinedu Obigwe, described Governor Willie Obiano as the most gender sensitive governor in Nigeria following his administrative consciousness in accommodating women into sensitive offices in the state. Mentioning some key positions occupied by women in the state, Obigwe noted that the Commissioner for Education, Hon Kate Omenugha is a woman who has used her unmatched wisdom and unquantifiable knowledge to transform the state’s Education sector. Others include; Commissioner for Transport, Hon Chinwe Nwaebili , Commissioner for Commerce , Barrs Amaka iLobi, Accountant General of Anambra State, Hon Ngozi, Chairman Post Primary school Service Commission, Hon Joy Ulasi and many others. Speaking further, Obigwe said that Governor Obiano is not the type that believes in subjugation of women but one who believes in giving women equal opportunity to contribute their own quota for the development of the society. 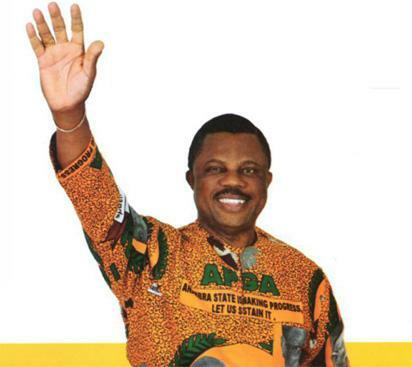 In view of the above Obiano’s political gender equality, Obigwe said that the Governor has shown that women’s role did not end in the kitchen, living room and the other rooms but that the task of building a modern Anambra State is a collective task that must be undertaking by both men and women. The post Mother’s Day: APGA Chieftain urges women to partner with men for development appeared first on Vanguard News.